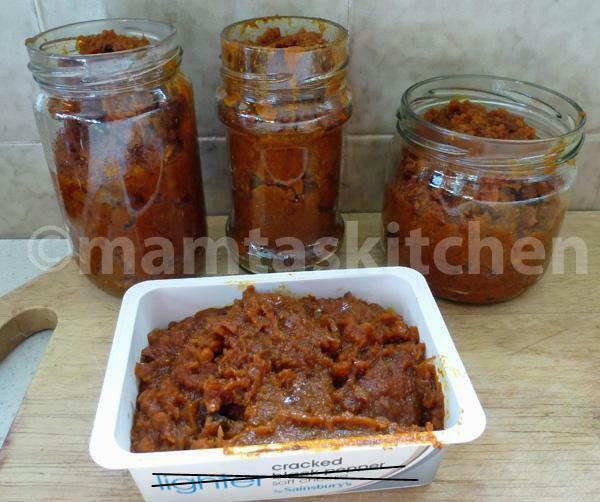 Basic curry sauce can be prepared in advance, in large quantities and kept in jars in the fridge or freezer. If you are a busy person, it is always a good idea to make a few different curry sauces a couple of days before a party or on the weekends, when you have more time. Even if you have time to make only one type of basic curry sauce, you can change flavours by adding other ingredients, as suggested. The curry sauce should be thick enough to coat the meat/vegetables well, although you can make it quite runny if you prefer it that way. This quantity is enough for approximately 500 gm. of vegetables or meat or chicken. Multiply according to how much you need. You can make it in bulk and freeze in portions. It will last in the fridge for up to a week. Please read the notes at the bottom of the page, before cooking. If you can not keep individual Indian spices (like students), substitute asafoetida, turmeric, ground coriander seeds, chilli powder and garam masala with 2 1/2 to 3 teaspoons of a good curry powder of choice. 2 medium tomatoes (approximately 80 gm. each), chopped finely or 200 gm. tinned tomatoes. 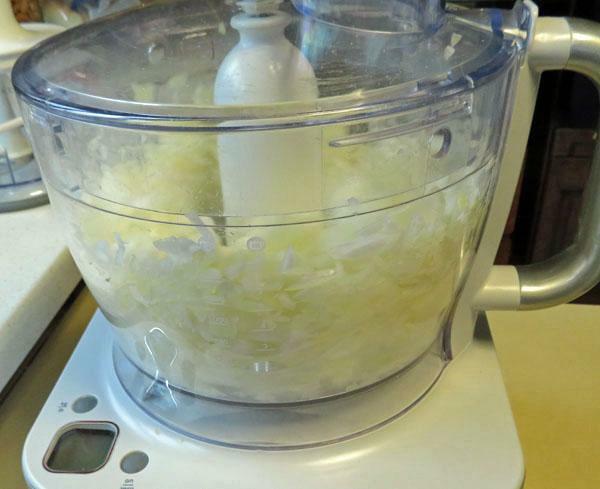 Wash and grind onions, ginger and garlic together in a food processor or chop finely by hand or grate. 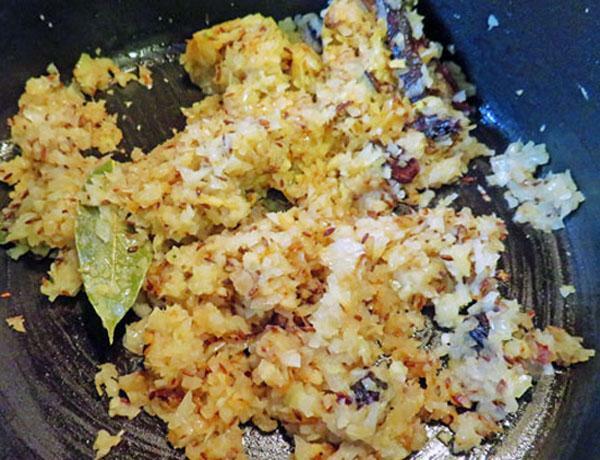 Heat oil in a pan, add cumin seeds and a pinch of asafoetida powder. Let the seeds splutter. Add onion, ginger and garlic and fry on moderate heat**, until golden to medium-dark brown (not burnt). Add all powdered spices, except garam masala and stir for 10 seconds, to release flavours. 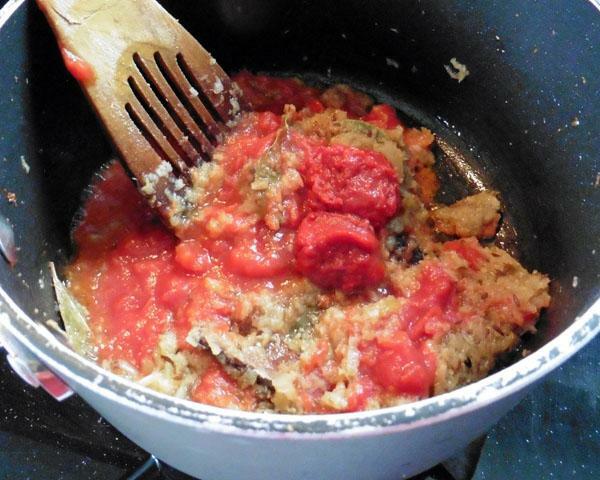 Add tomatoes and stir fry on moderate heat**, until oil separates from the mass. For a more professional taste, add a tsp. water and stir-fry again until oil separates. Repeat once more. Stir in garam masala. This should be ideally added to the finished dish, at the end of cooking. Salt and chillies should be adjusted to your own taste, remembering that this curry sauce has to be added to the main curry ingredient, so it has to be stronger at this stage than the finished curry. Cool, bottle or place in other airtight containers and chill or freeze. It must be defrosted and heated before adding the meat or vegetables. Heat the required amount until oil comes off the mass again, add meat/chicken/vegetables of choice and stir frying for a few minutes. In case of meat, until it is sealed and in case of vegetables until they are well coated. Add water if you require a gravy. If cooked on medium heat, most meats, chicken and green vegetables will release some water of their own. So add a little water at a time, if you do not want to make your curry too runny. When the meat/vegetables is cooked, turn heat off, sprinkle garam masala and chopped coriander leaves. Close the lid and leave the flavours of garam masala ingredients to infuse. 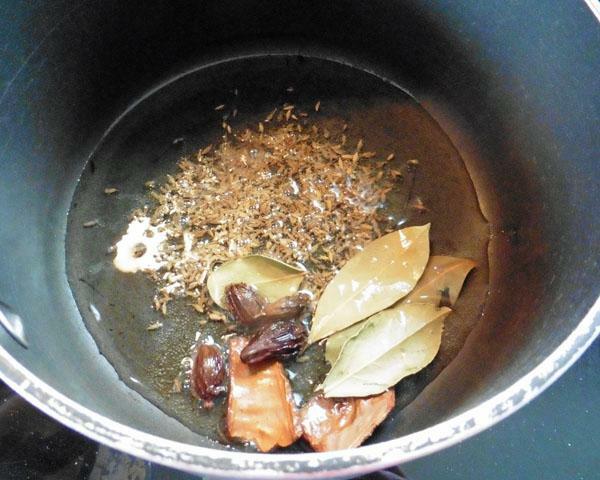 1 *To improve the flavour of the curry sauce, you can add following whole spices along with the cumin seeds at step two: 1 inch piece of cinnamon stick or cassia bark, 1-2 bay leaves, 2 large cardamoms-slightly cracked open, 4-5 cloves, 5-6 black peppers. These are the ingredients of Garam Masala. In powdered form, it is usually added at the end of cooking, whereas, whole garam masala ingredients are added to the hot oil at the beginning, along with cumin seeds. Indians are used to remove whole spices to a side as they eat, but unaccustomed people sometimes have difficulty with these. Omit whole black peppers and cloves especially, when cooking for children, because they don't like it if they chew on them. 2. Tinned tomatoes are cheaper and easier to use and give better colour to the finished curry. Fresh ones taste better. Select ripe ones for better flavour. 3. 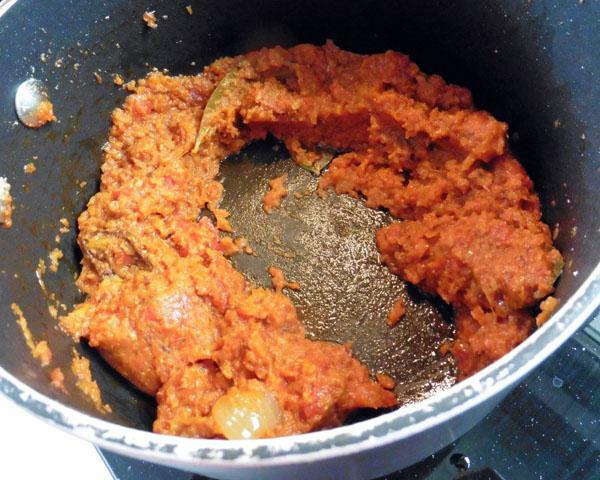 If tomatoes are not available, 1/2 cup of thick natural yoghurt can be added instead, but this will give you a different flavour and the colour of the curry will be more yellowish. Make sure that it is not skimmed milk yoghurt, which is more likely to curdle during cooking. 3. 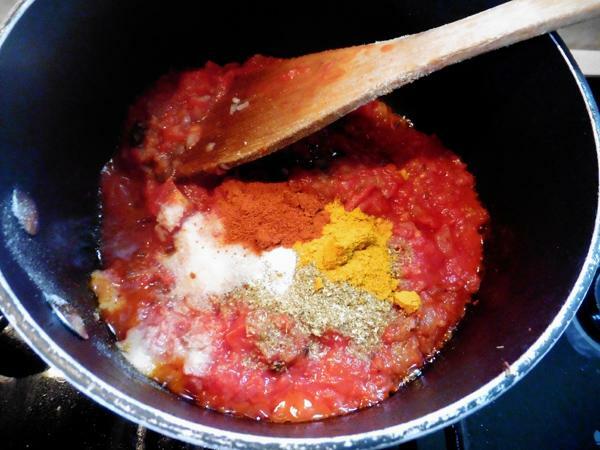 To give a redder colour to the curry, you can add 1 tsp. of sweet paprika powder. 4. 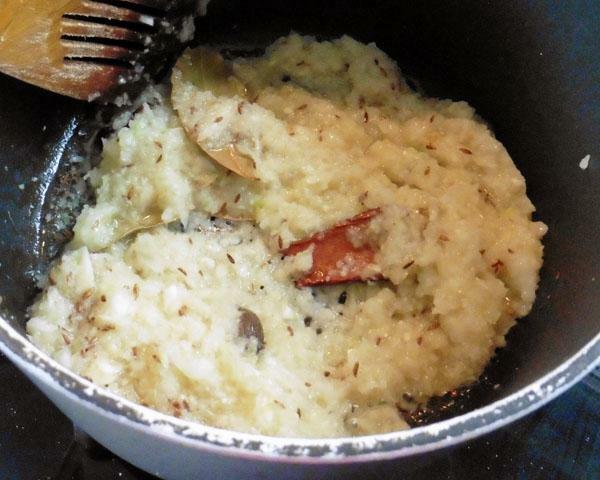 Sour cream or red wine or creamy yoghurt can added towards the end of the cooking process, to makes the curry richer. 5. 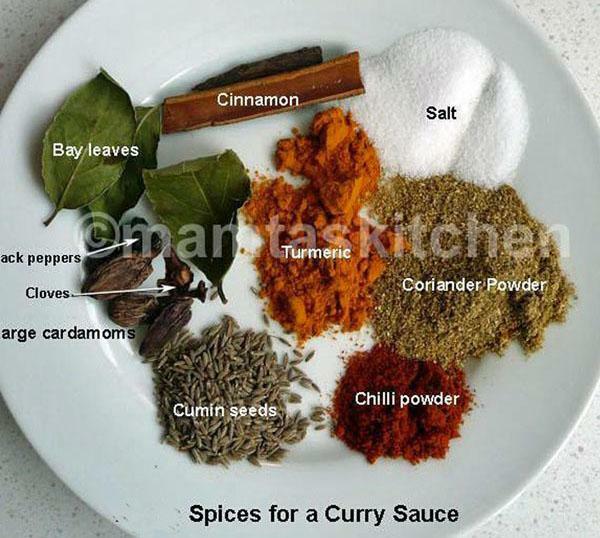 To give different flavours to a meat curry, you can add any one of the following ingredients while the meat is cooking: a. 1 tbsp. dry fenugreek leaves , called kasoori/kasuri methi or 100-200 gm. of fresh fenugreek leaves or 100-200 gm. chopped spinach or half a tin of purled spinach or a few diced potatoes or carrots or or half a cup of urad/urid dal or chana dal (varieties of Indian lentils) or 450 gm. of tinned chick peas, after draining out the brine. You can experiment with other additions too. That is how new dishes are born. 6.Always garnish with chopped green coriander leaves. If coriander is not available, finely chopped spring onion greens also look nice and taste good. Unfortunately, most of my curries are not, because my husband is allergic to their flavour. 7. You can add a few nuts like almonds or cashews at the end of the cooking process. They taste better if you soak and grind them first, adding creaminess to the dish. As far as I am concerned, sultanas and raisins are a definite no, except in very few select curries. But if you like them, go ahead and add them. **The heat at which I cook the curry sauce/masala mix depends upon what else I am cooking at same the time. If the sauce has my undivided attention, I will cook it at moderately high temperature, turning down when I need to. If I have other things cooking at other 3-4 cooking rings simultaneously, I will keep the heat to low, stirring from time to time, while doing other things. 1. 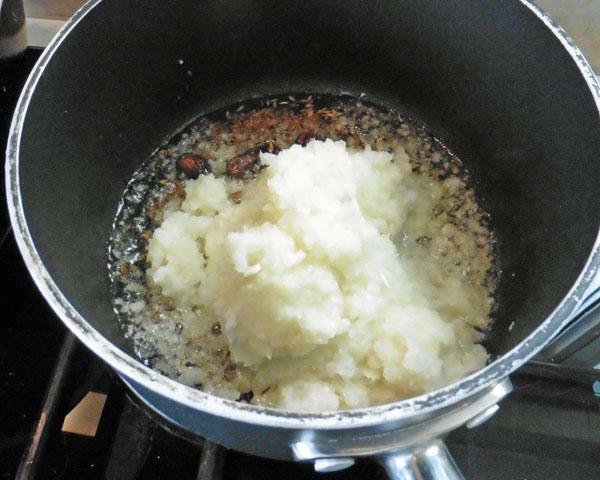 Reduce amount of fat during cooking 2. Use only lean meat 3. Add vegetables to meat during cooking, so that less meat is eaten 4. 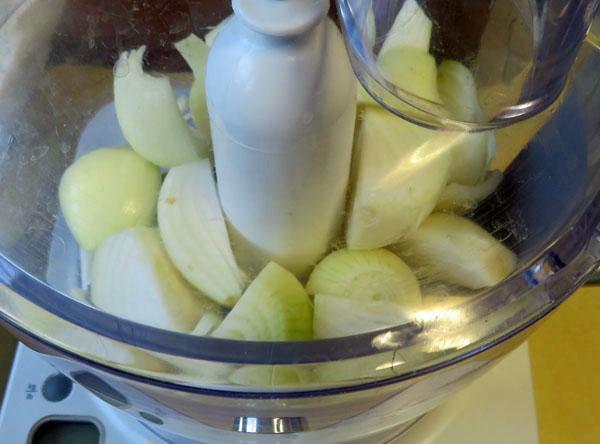 Skim the fat off the top, after you have finished cooking.